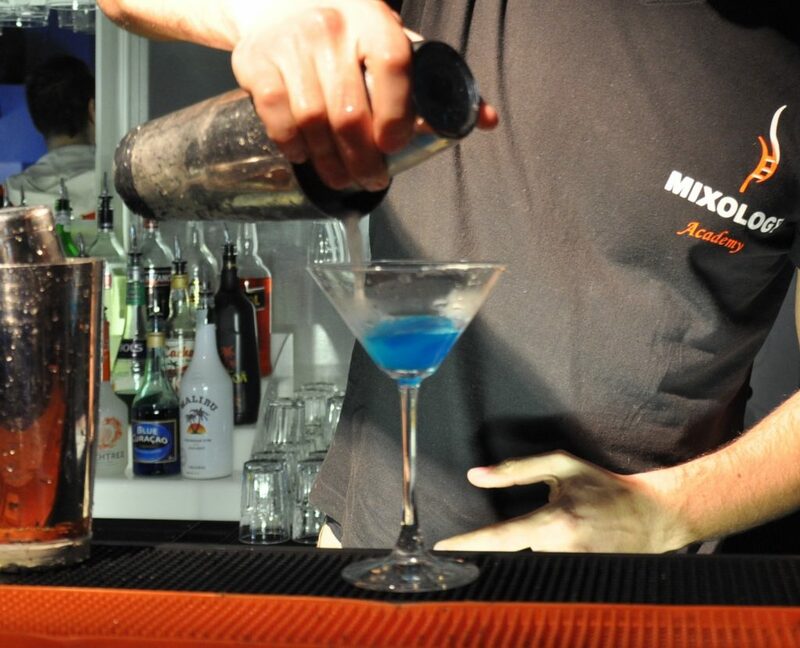 This method is used to prepare cocktails “Straight Up”, which are served in the Martini Glasses (Martini Glass, Double Martini Glass and Margarita Glass). open slightly the two Boston Shakers holding the ice in them, and filtering the ingredients previously shaken inside the glass. Note: the filtering of the ingredients may also be obtained using the Strainer in place of the 16 oz Boston Shaker.